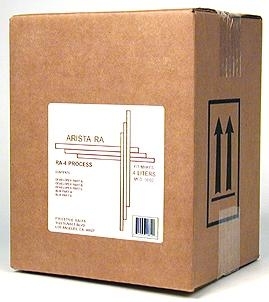 Arista RA-4 Color Print Processing Kit 4 Liter is compatible with all rapid access RA-4 papers. Superb results with variable temperature (75 - 105 degrees F) 1 to 4.5 minute 2-step process. Makes 4 liters. 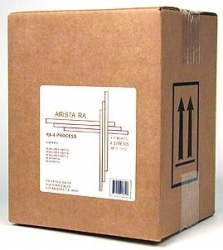 Designed to be one-shot use chemical for use in a processing drum or tray.